Queens-based architect Jerome Perlstein (January 2, 1924-November 13, 1984) designed a wide range of structures, including restaurants, athletic clubs, residences, and synagogues, but put he put his mark on the borough largely with his quirky interventions to industrial structures. Perlstein was born in New York City and even before graduating from high school in 1940 was already assisting his father, architect Morris Perlstein, as a draftsman. He served in World War II, studied at New York University and Pratt Institute, and then returned to his father’s office until 1949. In 1950 he set out on his own. One of his earliest extant works is the Do All Eastern Building, a long, low industrial building of tan brick with a contrasting red brick entrance surround and a corner wall of picture windows. 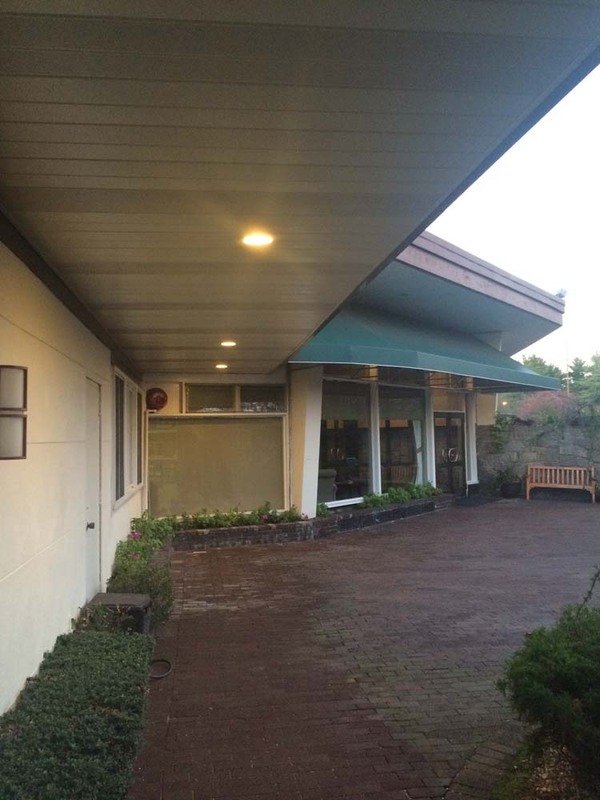 The Queens Chamber of Commerce gave it an honorable mention in its building awards program. In 1962, Perlstein became a consultant to Propper Manufacturing Company, a maker of medical devices, owned by Seymour Schuman. 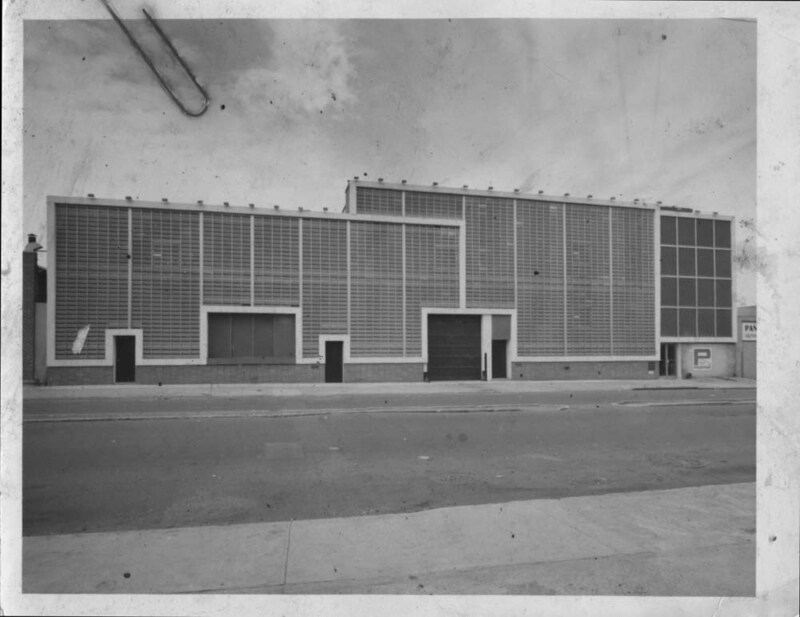 In the 1960s, Schuman began branching out into real estate development, eventually controlling numerous small industrial sites around Long Island City under the names Propper Properties and Schuman Properties. Perlstein was hired to rehabilitate many of these. 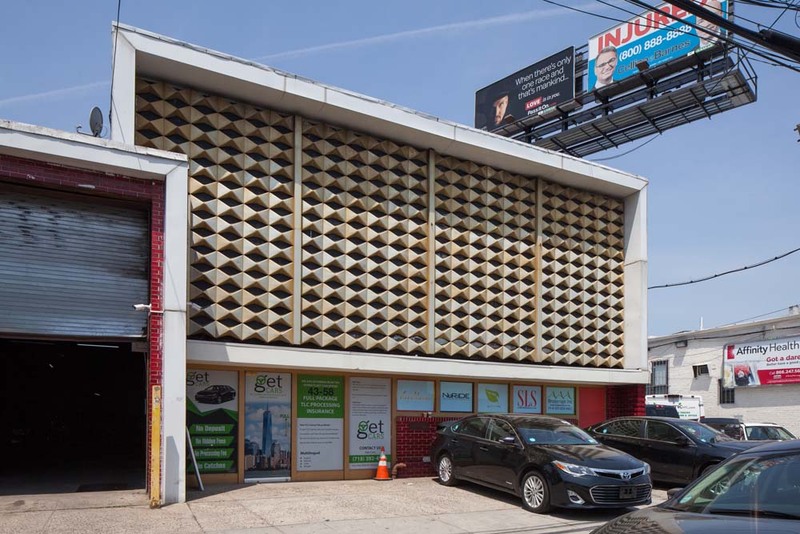 Between 1962 and 1975 Perlstein altered at least 10 buildings with eye-catching but cost effective designs. He used numerous materials, primarily in facade alterations, to make the street view of these buildings more compelling. The facades incorporate Roman brick, stone veneer, glass, concrete, enamel paneling, metal screens, and mosaic tiling, as quick ways to enliven largely utilitarian complexes. Perlstein or Schuman also labeled each building with small metal plaques naming the buildings after specific individuals, both famous and obscure. A small garage at 11th Street and 44th Drive with red enamel brick and a jaunty metal facade screen is named after Perlstein. The Queens Chamber of Commerce honored three of these industrial structures, as well as two restaurants, a bank, and a commercial building that all exhibit the same design characteristics. 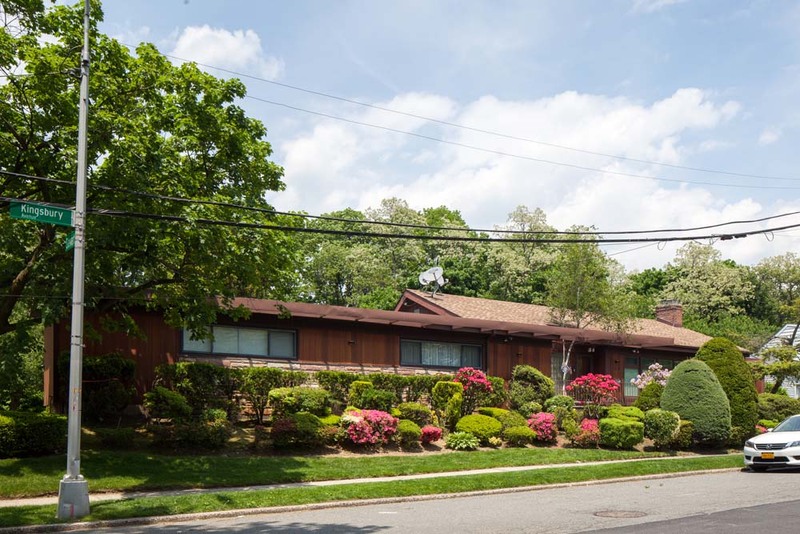 Awards also went to the Harold Felixson residence in Bayside, a long, wood house on a narrow site, and a more standard apartment complex in Forest Hills, designed with Jack Brown, architect of LeFrak City. Perlstein died in 1984 at the age of 60. Note: A version of this biography appeared in docomomo_us New York/Tri-State’s mōd, issue 2, 2017.